The art dealer cheats his customers by selling reproductions as original art. Amy's former employer cheated her out of her vacation pay. The enemy cheated during the weapons inspection. The student cheated on her exam. My grandpa cheats at poker. A cheat sheet is a concise note usually written on a small piece of paper to help someone remember important points. 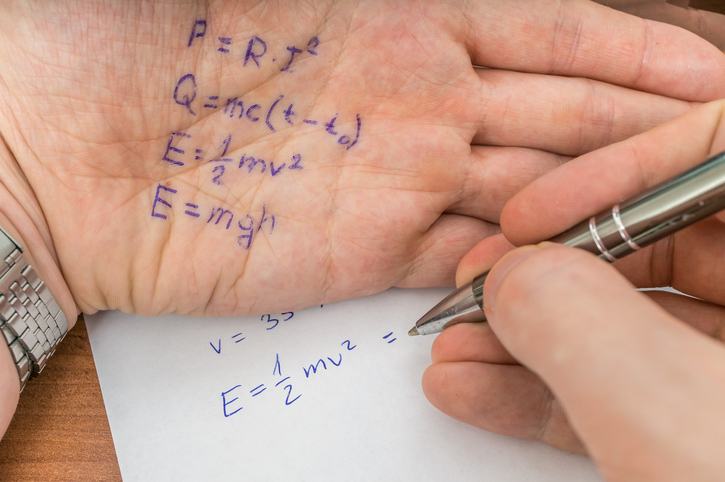 Although someone may call their notes for a speech a cheat sheet, more often, a cheat sheet is used to cheat on a test. There are other meanings of cheat.